And yet combusting they are. Admittedly, last week’s umbrella disaster wasn’t exactly spontaneous. It happened when one of my graduating seniors realized she was spinning her umbrella in the wrong direction and tried to switch back too quickly. The main shaft cracked and when I tried to tape it back together again, it fell apart leaving me with half an umbrella in one hand and the handle, plus two or three inches of umbrella shaft, in the other. It would have been okay if this had been the first umbrella disaster of the season—or even the first umbrella disaster of the evening but it was far from the first, on both counts. 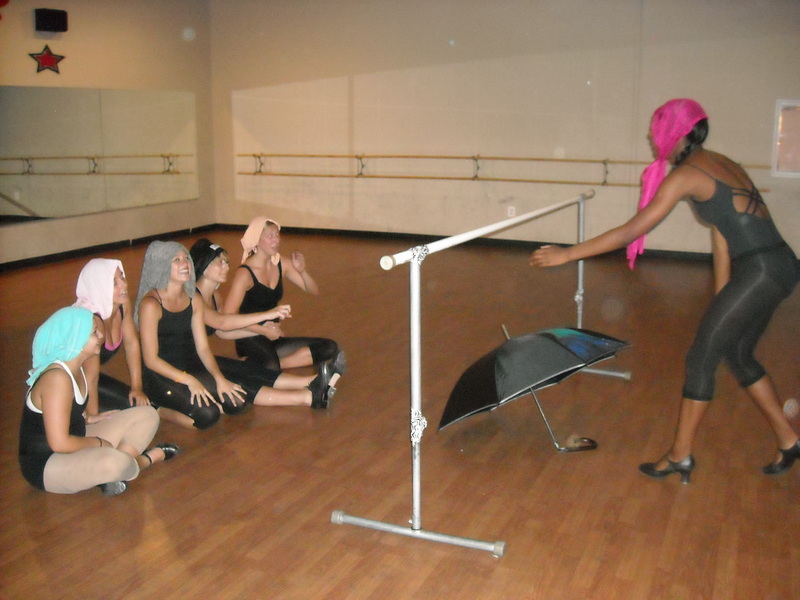 Umbrellas, evidently, aren’t meant to withstand rehearsals. And seeing as the girls’ routine consists primarily of synchronized umbrella twirling (and super fast footwork, for which they have all come to hate me), my beautiful creations aren’t holding up very well. Last week, however, one of the six officially kicked the bucket. Naturally, as it officially summer and the mere thought of spending time inside of classroom this times of year makes everyone a bit punchy, we held a funeral. And this, dear readers, is why the school year needs to be OVER! OMG you are so on! I was trying to think of what to get you as a going away present 🙂 Any color preferences? 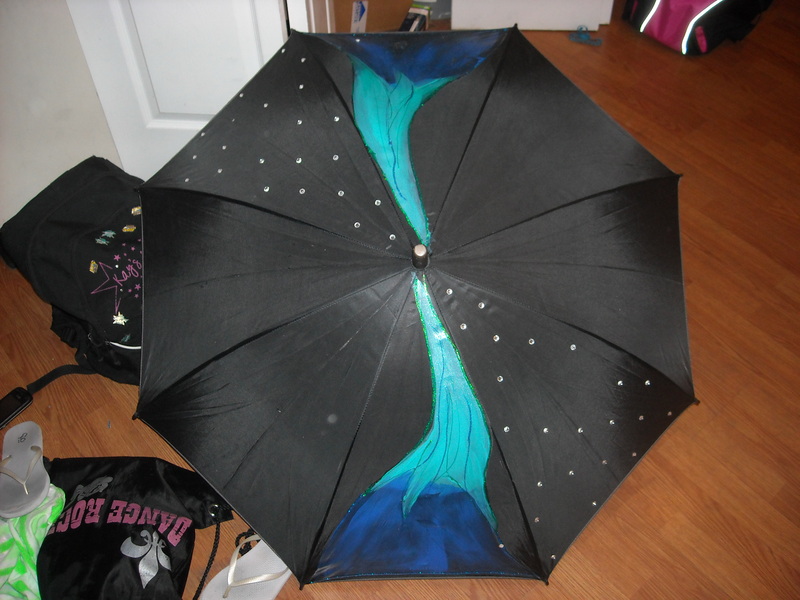 Maybe I really will launch my umbrella bedazzlement career!!! I am willing to test an umbrella! Will it be up to a London winter commute? Rigorous methods will be used and appropriate data collected! I will leave the colour (I have to learn to spell things the UK way…) preference up to you. And I could make room in my suitcase for one for the prof… This could be the beginning of a really big career move! I was watching a home video the other day of some of your dress rehearsals and I had forgotten how many costumes I made, and made for the whole class, and accessories, remember the army skirts for Boogie Woogie Bugle Boy? We had our wardrobe malfunctions too, as some of the girls were a bit more well endowed, but thankfully you were always trained to have a flesh-toned leo underneath all costumes. When its time for a break, its time for a break.